Your groups will spend the first day of their itinerary exploring everything Arbor Day Farm’s 260-acre campus has to offer. This includes both activities and attractions: Tree Adventure, Arbor Lodge State Historical Park, Apple House Market, and Lied Lodge & Conference Center. Groups will learn to follow nature’s lead and take home memories to last a lifetime. The original home of J. Sterling Morton, the founder of Arbor Day, awaits your group this morning. Tour the magnificent 52-room mansion and marvel over the authentic furnishings and historical artifacts on display. Next, on to the Arbor Lodge State Historic Park & Arboretum to explore 65 acres of hilly, wooded land on the edge of Nebraska City, just west of the Missouri River. There is something to discover in every season at the Arbor Day Farm Tree Adventure. Pick apples in the orchard during the fall or tour the Lied Greenhouse year-round to pick out a tree seedling to plant at home. Groups are welcome to view “Trees in the Movies” and board the Discovery Ride through the forest. Check into the Lied Lodge for a relaxing afternoon, and to freshen up before dinner.This accommodation is known for inspiring timbered décor, exceptional guest services, and guest rooms. Groups will enjoy a meal in Lied Lodge’s on-site restaurant, the Timber Dining Room. 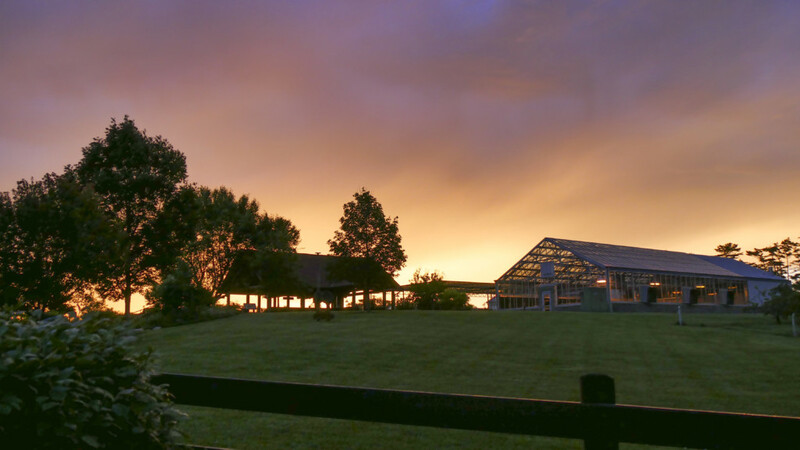 Savor local and sustainable food that is served under soaring timbers and alongside the beautiful views of Arbor Day Farm. The menu changes to reflect what is fresh for the season, bringing the best local food to each individual table. Spend the evening relaxing on a walk or sipping drinks accompanied by nature. Your first stop on day two is at Kimmel Orchard & Vineyard. Dedicated to agricultural education, research and historic preservation, this 90-acre location in the Missouri River Valley is a destination for a variety of pick-your-own seasonal fruits and delicious goodies. Fruits grown include strawberries, cherries, peaches, blackberries, apples, Asian pears, plums and a variety of vegetables in the vegetable garden. For more information or to customize this sample itinerary for your group, contact Nebraska City Tourism & Commerce at 402-873-6654 or visit them online at www.gonebraskacity.com.